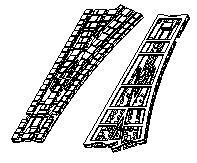 Very large stone version of tramway insert for standard Peco Setract OO/HO left hand point. Very large stone version of tramway insert for standard Peco Setrack OO/HO right hand point. 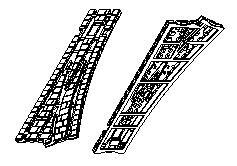 48 pieces of small stone section top make flexi inset track 16.5mm gauge with giant stones for narrow gauge(eg Gn15). fit code 100 rail. Each section is 7mm long. 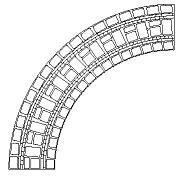 24 pieces of small stone section top make flexi inset track 16.5mm gauge with giant stones for narrow gauge(eg Gn15). fit code 100 rail.